Located on the highpoint of Lincoln Mountain, between Sugarbush's Lincoln Peak and Mad River Glen, Sugarbush North was originally developed as a standalone area known as Glen Ellen. As the story goes, engineer Walton Elliott told his wife Cynthia that he wanted to relocate from Connecticut to Vermont to start a ski area. The young family soon moved to Warren, as Elliott assembled a group of investors and acquired land on the side of Mt. Ellen. The lower portion of Glen Ellen was opened in 1963, initially with an advertised vertical drop of 1,600 feet served by two chairlifts and a T-Bar. The initial $550,000 development included 10 trails and 2 slopes, which had a Scottish naming scheme. Meager snowfall caught the young owner by surprise, as he commented to the New York Times, "We realized that customers wouldn't immediately start breaking down the doors to ride our lifts, but we didn't anticipate lean snow covers, either. The mountains in these parts are supposed to work like magic in attracting flakes." Nevertheless, for its second season the summit double chairlift was installed, with the Glen House lodge constructed near its base. Six new trails were added as a result of the expansion. With neighbor Sugarbush advertising "greatest vertical rise in east" courtesy its top to bottom gondola, Glen Ellen carried the "greatest vertical descent in east" slogan with its tiered chairlifts. The 1964-65 season was deemed a success, with second year revenues surpassing the first's on February 25. Bold expansion plans were announced, including the construction of two chairlifts to General Stark Mountain. However, money was tight. For the third season, Lower FIS and the Inverness lift line were cut and the Golden Thistle Base Lodge expanded. 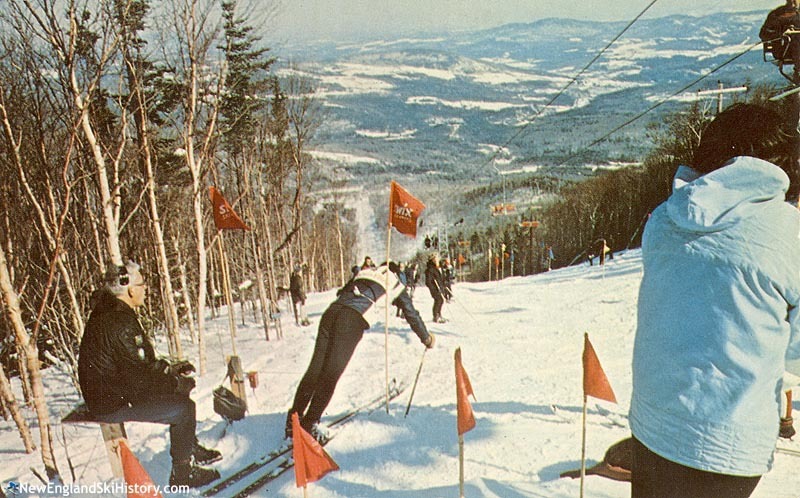 In early 1967, Glen Ellen was named as a possible downhill skiing venue for a potential Waterbury 1976 Olympics bid, thanks to its large continuous vertical drop. 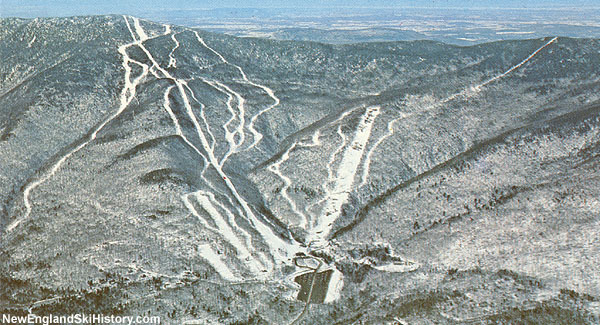 While a snowmaking system was set to be installed for the 1968-69 season, early snowfall reportedly halted construction. The system was completed for the 1969-70 season, covering the novice double chairlift area. Glen Ellen co-hosted the US National Alpine Championships in March of 1970, where Patty Boydstun won the Womens Slalom title. Mad River Glen hosted the Giant Slalom event. The Inverness area received its chairlift for the 1971-72 season, dramatically improving access to the terrain in the "West Bowl." On March 11, 1972, a chairlift rollback occurred, resulting in five injuries. Shortly thereafter, Glen Ellen also hosted the Northern American Alpine Junior Championships, receiving bad ink in publications as far away as The Desert News. A racing division president was quoted as saying, "[i]t was probably one of the sorriest races of the season. The weather, broken chairlifts and snow conditions didn't help any." In the fall of 1972, real estate agent Gina van Loon and energy consultant Ken Brown purchased the assets of Glen Ellen Corp. for a reported $2 million. Sno Engineering was hired to help fix the problematic lifts. The energy crisis combined with back to back rough winters resulted in Glen Ellen going bankrupt in 1974. Walt Elliott was then brought in by the banks to operate the area for the 1974-75 season. Former Stratton General Manager and Canadian Olympian Harvey Clifford took over Glen Ellen in 1975, purchasing it in 1976. Clifford's tenure would be brief, however, as Roy Cohen's Solon Automated Services purchased Sugarbush in November of 1977 and had its eyes set on at least one more ski area. On July 10, 1978, Wildcat founder Brooks Dodge ended up in a coma when his Schempp HS-7 glider crashed at a soaring event in Massachusetts. Two days later at the same event, Glen Ellen founder Walt Elliott was killed when his Schempp-Hirth Cirrus glider crashed in Fitchburg. He was 50. Glen Ellen as he knew it would only survive a few months longer. In the fall 1978, Solon Automated Services acquired Glen Ellen, quickly dropping the original name for Sugarbush North. Initial reports were that the two areas would be connected by trails and lifts, followed by a connection to Mad River Glen. 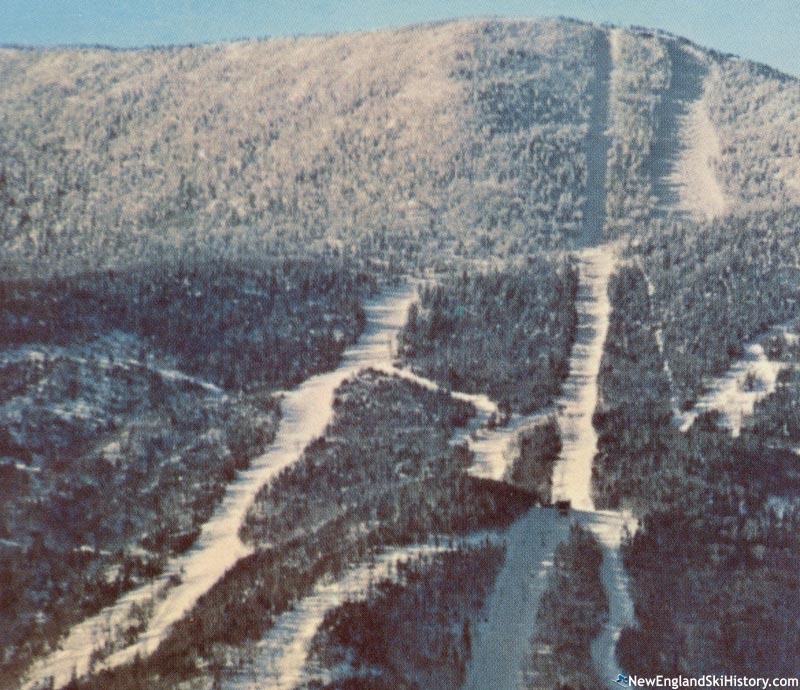 In the end, the two Sugarbush ski areas would only be connected by shuttle service until the installation of the Slide Brook Express chairlift in 1995. "I started on Glen Ellen volunteer Ski Patrol in the early 60's. Every weekend from Thanksgiving to closing was spent patrolling Glen Ellen. Lots of memories. BUT, the most important: the first Saturday in March 1969 there was a line for the main chairlift when I got to the lift so I called for a single (as we were required to do). The person who responded was Robert Sonderman. March 2019 we hope to return to Glen Ellen with family to celebrate 50 years of our meeting and December 9th last year (2017) we celebrated 45 years of marriage. THANK YOU GLEN ELLEN!!!!!!!!!! from Robert and Linda Sonderman "
"I remember skiing at Glen Ellen on opening day in 1963. It was awesome! I still ski there most of the time." "1967 senior ski trip from North Country School (Lake Placid). Loved it, loved it, loved it." 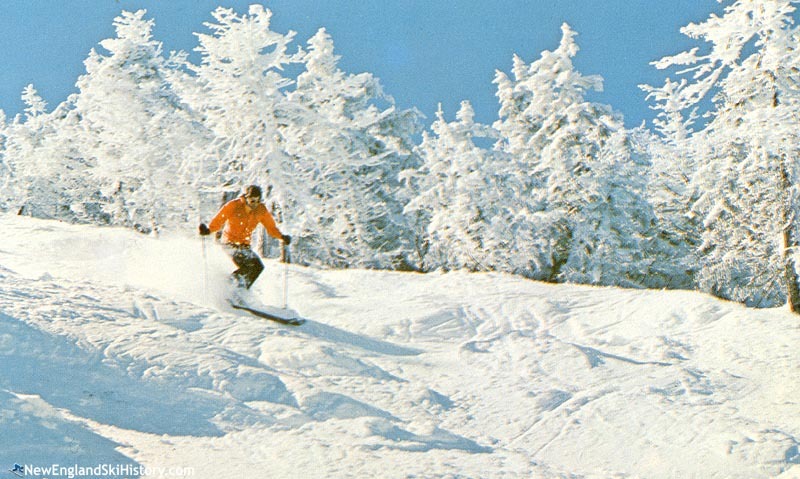 "I loved skiing Glen Ellen (as well as Sugarbush)... The GLADES especially... skiing slowly in between the white birch and fir trees laden with new snow... NO noise - just the skis and bindings squeaking... no wind... just snowing softly - but accumulating quickly on the trees and trails... Oh my... what great memories from the early 1970's... Glen Ellen was wonderful... "